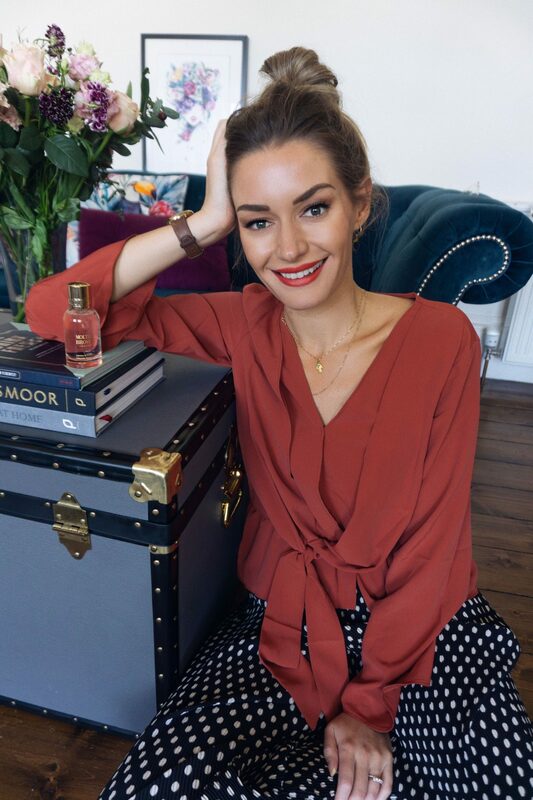 Molton Brown release a new scent that boldly celebrates fearless femininity. 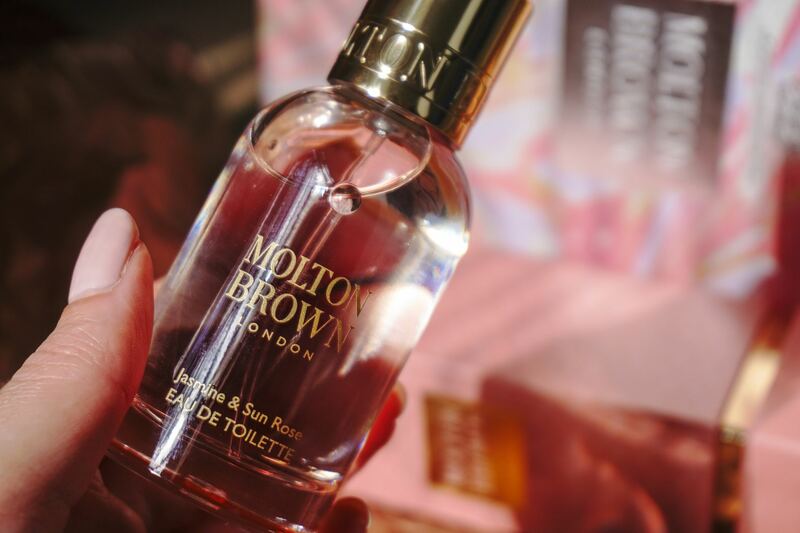 Own your bold with Molton Brown’s new scent, Jasmine & Sun Rose. The message behind this new launch is all about breaking stereotypical ideals of beauty. What does that mean to you? To me, it is being able to feel soft & feminine while strong & powerful – because why should we have to choose? That’s my bold, fearless femininity. And Jasmine & Sun Rose embodies that perfectly. 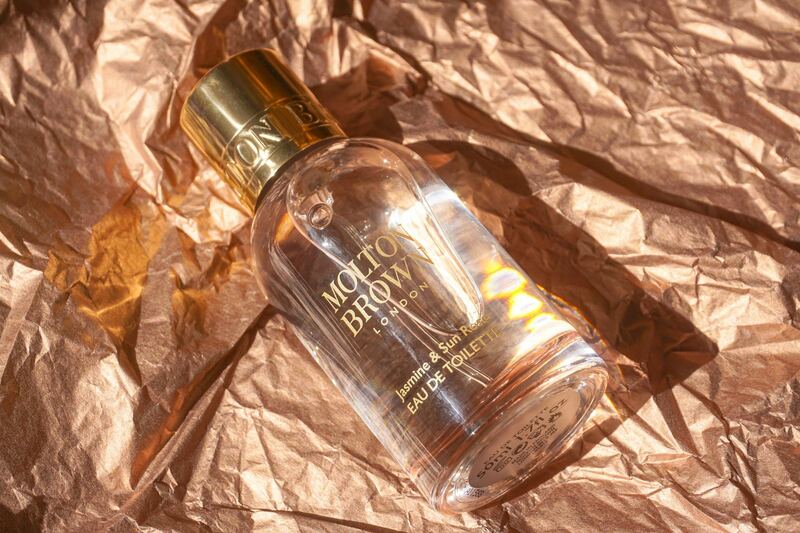 I have previously encountered many Molton Brown perfumes that I like, yet none that I love. That was, until I was introduced to Jasmine & Sun Rose. The new EDT is everything I love in a scent. An inspiring, strong-but-feminine fragrance. A perfume I immediately wanted to wear after testing it. Jasmine & Sun Rose is undeniably elegant. A contemporary take on the Chpyre fragrance family (fragrance notes from Cyprus, associated with the fearlessly bold Aphrodite the goddess of love, beauty and pleasure). Confident, strong and fearlessly feminine is the message behind the campaign #OwnYourBold. Jasmine & Sun Rose is inspired by an Egyptian landscape captured in late summer’s dusk. The scent transports you to an exotic land, where you can smell the flowers in the thick,hot air. My favourite perfumes always leave a captivating air of mystery created by heady base notes. Jasmine & Sun Rose leaves a trail of rich labdanum, patchouli and softly sensual musk. My only critique is that I would love this in an EDP so it lasts longer. 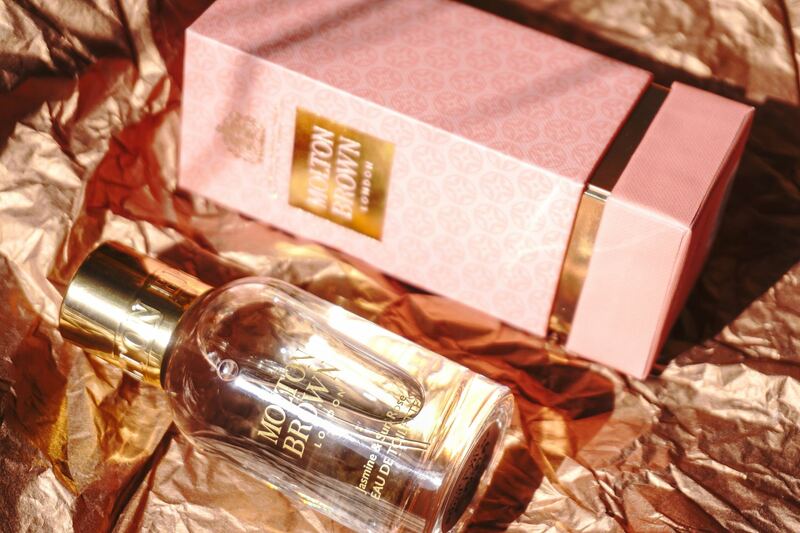 Molton Brown’s Jasmine & Sun Rose is available in-stores and online now. The collection features an Eau de Toilette in 50ml (£45) and 100ml (£69) sizes, Bath & Shower Gel, and Body Lotion and gift sets below. What does it mean to you to #OwnYourBold? Let me know below.